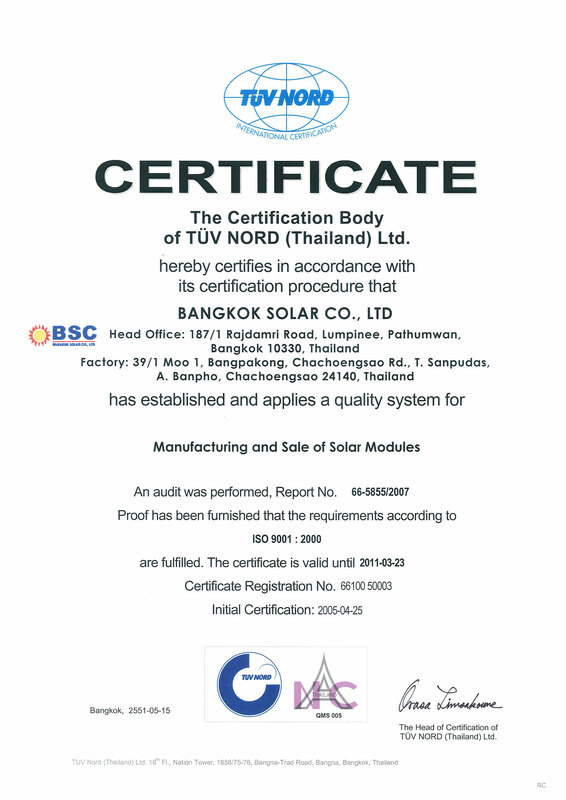 By Bangkok Solar Power Co.,Ltd. 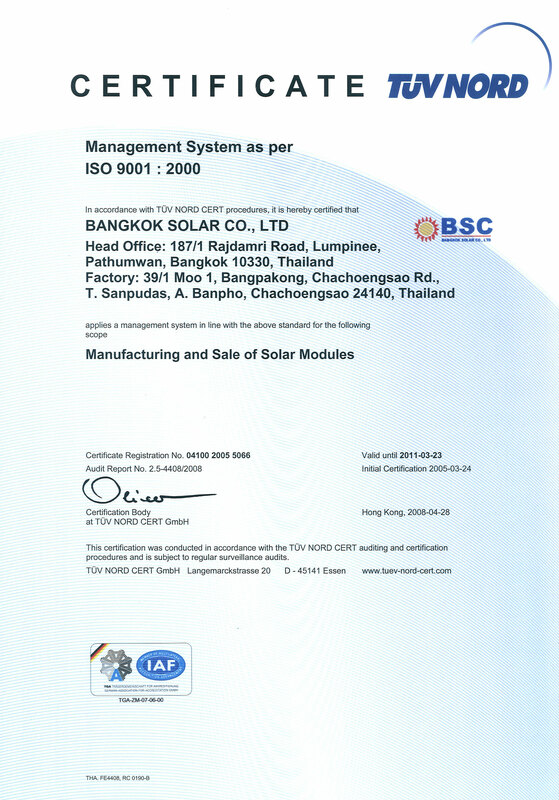 with a-Si Thin Film Photovoltaic Module of Bangkok Solar Co.,Ltd. CO2 Reduction 9,518 Tons of CO2 Equivalent per year. Factory address 39/1 Moo.1 Bangpakong-chachoengsao Rd. Sanphudas, Banpho, Chachoengsao 24140 Thailand.